﻿ ﻿Taxes in Australia are administered and collected by the Australian Taxation Office (ATO), and in some cases state government revenue offices. Businesses can save money by paying the correct amount on time and taking advantage of any tax concessions that they are entitled to. The key taxes affecting businesses are Company (income) Tax, Capital Gains Tax (CGT) and the Goods and Services Tax (GST). These taxes are all set by the Australian Government. We briefly explain the general Australian business related taxes. Companies that have been registered in Australia are considered as an “Australian Resident Company” will be subject to Australian company (income) tax at the rate that the Australian Government has set. Australian company (income) tax on taxable income is 30% as of January 2015. However, there is a plan to reduce 1.5 points to 28.5% from July 1, 2015. Capital Gains Tax (CGT) applies on any capital gain made through the disposal of assets. It is paid as part of income tax. Foreign entities may be subject to CGT on assets acquired and used in carrying on a business in Australia. Businesses are required to keep records upon acquiring assets that may be subject to CGT in the future. Small businesses may also be eligible for CGT concessions under certain circumstances. - You provide taxi travel as part of your business, regardless of your GST turnover. However, a company can still choose to register for GST without reaching the above turnover threshold. Being registered for GST will enable the Australian resident company to claim back the GST paid on goods or services used for the business. However, the GST system requires lodging a monthly or quarterly business activity statement (BAS) therefore it has some compliance costs. Certain businesses may also be eligible for GST concessions. Pay-roll tax is a State Government tax on the wages paid by employers. It’s calculated on the amount of wages you pay per month. However, not all businesses will have a tax obligation. You are only liable for pay-roll tax if your total Australian wages exceed the exemption threshold that applies in your State or Territory—exemption thresholds vary between States. In Queensland, employers or groups of employers that pay $1.1 million or more a year in Australian wages must pay payroll tax. A payroll tax in QLD is 4.75% (as of 23 January 2015). To secure the best workers for your business, you often have to entice them with non-income related benefits. This might include a car, car parking, a low interest loan or payment of private expenses. It's entirely legal and a common form of reimbursement used by companies towards their employees. Fringe Benefits Tax (FBT) is a tax payable by employers for benefits paid to an employee or the employee’s associate (typically family members) in place of salary or wages. This is separate to income tax and is calculated on the taxable value of the fringe benefits provided. Land tax is an annual tax payable by owners of land. Land tax is administered by your State or Territory government and is applicable everywhere except for the Northern Territory. The amount of land tax you pay is determined by the combined unimproved value of taxable property. If your business owns property then it's likely you'll need to pay land tax on it. Make sure you know what your entitlements are, because land owned by some types of organisations can be exempt from land tax. State and Territory governments impose taxes on a range of transactions. These taxes vary across States and Territories, and can be called stamp duty, transfer duty or general duty. - transfers of property (such as businesses, real estate or shares). PAYG withholding tax is a legal requirement that means you must withhold amounts for income tax purposes. As an employer of staff, you’re required to withhold tax from payments you make to them. Occasionally, you may also have to withhold tax from payments you make to other workers, such as contractors. In addition to staff, PAYG also covers payments you make to other businesses. If you purchase from a business that does not quote an Australian Business Number (ABN) on an invoice or other document, you must withhold an amount for tax purposes. You need to register your business by the day on which you’re first required to withhold an amount from a payment. 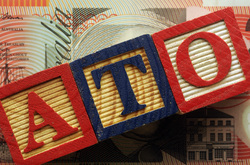 Once registered, you must send all withheld amounts to the Australian Taxation Office (ATO).